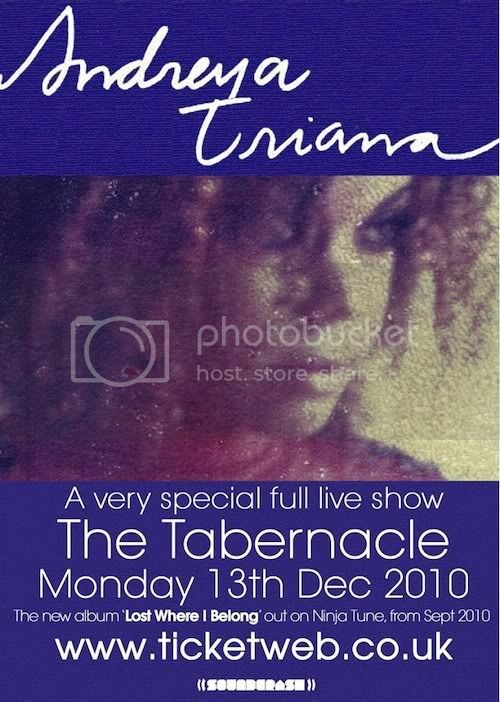 The lovely Andreya Triana has a full live show at the Tabernacle in Nottinghill on 13th December (it's such a lovely & unique space!) and we have two pairs of tickets to give away. To win two tickets to this very special gig (strings, horns, everyting!) just tell us who produced Andreya's debut album "Lost Where I Belong" .Tweet the answer @putmeonit or leave it on the Facebook group wall. Competition closes on Friday 29th October.